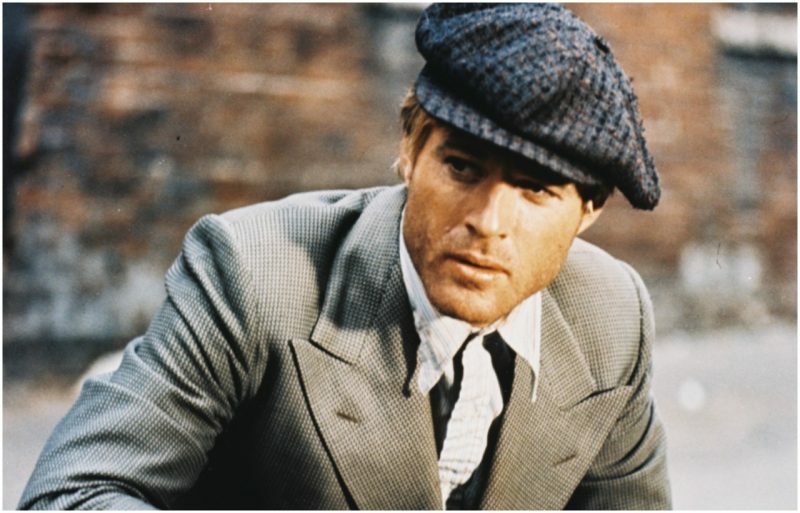 By the early 1970s, following the success of Butch Cassidy and the Sundance Kid and The Sting, Robert Redford was a household-name actor. In both films, Redford played a charismatic crook — his Sundance Kid was a cryptic outlaw of the Old West and in The Sting, he was a small timer who was part of a complicated con game set in the 1920s. In his latest film, The Old Man & the Gun, Redford plays a crook of the past again. This time, he portrays Forrest Tucker, notorious for being a prisoner in San Quentin Prison in California who secretly crafted a kayak, and then used the kayak to escape from prison in 1979. He was known as an ingenious escape artist, having slipped out of prison 18 times in his life. A thief and bank robber, Tucker began breaking the law in the 1930s and was in and out of prison for decades. Robert Redford at an event at the US Embassy in London. 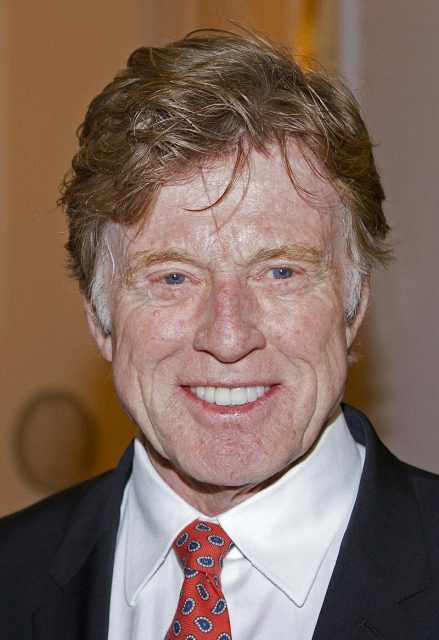 Redford told the media in August 2018 that he expects this to be his last acting part. 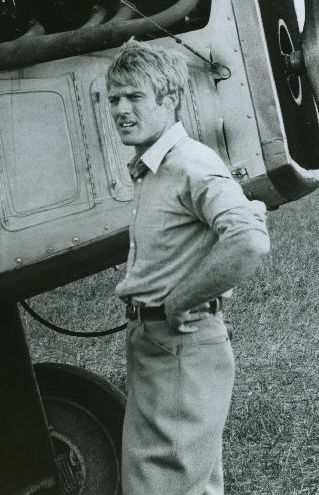 Robert Redford in the film The Great Waldo Pepper (1975). Redford’s co-stars are Casey Affleck, Danny Glover, Tika Sumpter, Tom Waits, and Sissy Spacek. The Fox Searchlight film will premiere at the Toronto International Film Festival in September and open in theaters by the end of that month. Forrest Tucker’s criminal career has long been a source of amazement. He escaped from Alcatraz (but not for long) while being prepped for surgery. When he was living in a Florida retirement home in his 70s, he still managed to rob a series of local banks until being caught and sent to prison for the last time. He died there in 2004. But his escape from San Quentin is the most celebrated. Tucker and a fellow inmate at San Quentin State Prison in California built the kayak out of things found in the jail, such as wood, duct tape, formica, and plastic sheets. They wrote “Rub A Dub Dub, Marin County Yacht Club” on the side of the canoe, and then managed to launch it. The boat was made to resemble one from the nearby yacht club. He was not apprehended for almost four years. Redford won a baseball scholarship to the University of Colorado, but said in another interview, “I became the campus drunk and blew out before I could ever get going.” Redford did not graduate from college but moved to Europe to become an artist. When he returned to the U.S., he studied acting and appeared on Broadway in the 1959 comedy Tall Story. His first film was Barefoot in the Park in 1967, co-starring Jane Fonda. 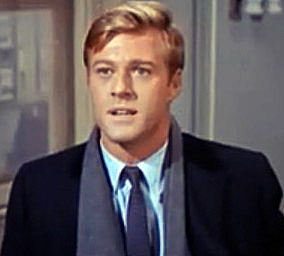 Redford in Barefoot in the Park, 1967. Redford followed The Sting with a series of leading man roles: The Way We Were, The Great Gatsby, Three Days of the Condor, and All the President’s Men. He was definitely one of the most bankable stars of the 1970s. In 1980, he directed Ordinary People, starring Donald Sutherland, Timothy Hutton, and Mary Tyler Moore, to great acclaim. He’s directed nine more movies, including A River Runs Through It and The Horse Whisperer. In his recent interview, Redford said he intends to keep directing.